TUESDAY, Feb. 19, 2019 (HealthDay News) — They’re often called “vampire” treatments, in which people undergo infusions of a young donor’s blood plasma to treat everything from aging to Alzheimer’s and multiple sclerosis. But these expensive “fountain of youth” therapies are unproven and potentially unsafe, the U.S. Food and Drug Administration warned on Tuesday. According to the FDA, the use of plasma infusion therapies is on the rise across the United States, often costing thousands of dollars per treatment. The service is being offered by businesses in many states to allegedly treat conditions ranging from normal aging and memory loss to serious disorders such as dementia, Parkinson’s disease, multiple sclerosis, Alzheimer’s disease, heart disease and post-traumatic stress disorder (PTSD). Plasma — the liquid portion of blood — contains proteins that help clot blood and can be used to treat bleeding and clotting problems. Plasma can benefit patients with severe injuries and those whose blood can’t clot due to medications or certain illnesses. But even under such approved uses, plasma carries risks that include allergic reactions, transfusion-associated circulatory overload, transfusion-related acute lung injury and infectious disease transmission, the FDA said. “We have significant public health concerns about the promotion and use of plasma for these purposes,” Gottlieb said. “There is no proven clinical benefit of infusion of plasma from young donors to cure, mitigate, treat, or prevent these conditions, and there are risks associated with the use of any plasma product. In one example, HuffPost conducted its own investigation into Ambrosia, a startup company offering young plasma services it claims can ease a wide range of ailments. Jesse Karmazin, Ambrosia’s 34-year-old founder, said he was charging customers in multiple states $12,000 for treatments during which they received 2 liters of young plasma. According to HuffPost, Karmazin said he didn’t feel FDA approval of his own study of the merits of young plasma therapy was necessary — and the results of the study have never been released. 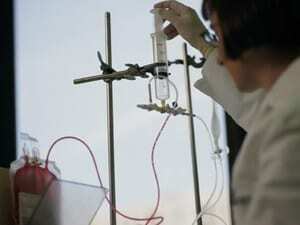 But the FDA believes that as with many experimental procedures, it’s “buyer beware” when it comes to plasma infusions. The agency’s advice: Anyone considering using plasma for these unapproved uses should talk with their doctor first. The American Red Cross explains types of blood donations.